Nourishing Souls is offering our readers a giveaway of 3 copies of the children’s book I Love Me! and a pen, a value of $25. I Love Me! is a children’s book of affirmations to strengthen, nourish, and build self confidence in children of all ages. I Love Me! by Summer Joy of Nourishing Souls is a children’s book inspired by the author’s realization that the power of affirmations can be transformative for children. Summer Joy set out to create a book filled with simple but powerful phrases to help children build confidence in themselves. The author’s passion for holistic health and nutrition extend beyond her debut book; she also offers Health Coaching Services to help others achieve and maintain healthy lifestyle balance. The first thing that struck me about I Love Me! is its simplicity. While brief in length, its 10 pages pack a lot of power! On each page, one short but meaningful phrase provides a positive affirmation and includes messages of love, safety, health, confidence, creativity, and peace. 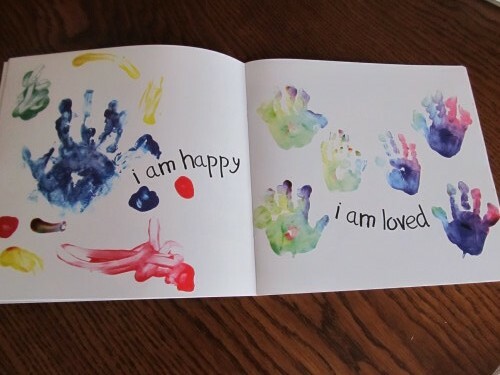 Rather than distracting illustrations that might detract from the focus on affirmations, each page is decorated with colorful handprints, painted by the author’s children, images that all children can relate to! 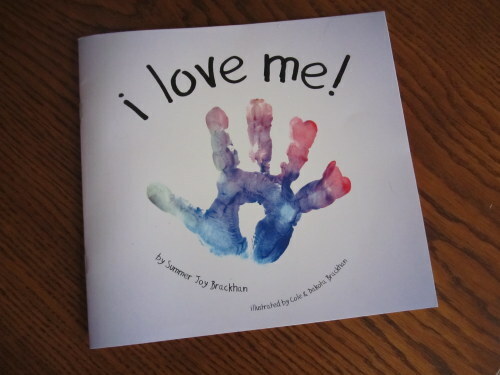 The final page, with the affirmation “I Love Me!” leaves space for your child to draw or paint his or her own handprint, allowing them to personalize the book and truly make it their own. While the short length of the book makes it easy for young children to stay interested, my only complaint about this book is that is isn’t just a little bit longer. It’s a very quick read, and including just a few more simple affirmations would have been perfect. The book is of high quality and is professionally printed, making it an excellent value for the price. I plan to purchase a supply of copies to have on hand to give as gifts to all of the children in my life, from babies through school age! You can purchase your own copy of I Love Me! at Nourishing Souls for $7.95 plus applicable shipping charges. And just for Natural Parents Network and Fine and Fair readers, Nourishing Souls is giving a 20% discount on all orders from now through the duration of the giveaway. Order using this special link to receive this discount. Nourishing Souls also offers Health Coaching services to bring physical health, diet, spirituality, relationships, and lifestyle into balance. The first session is free and includes an initial health history! For your own chance to win 3 copies of I Love Me! from Nourishing Souls, and a pen, enter by leaving a comment and using our Rafflecopter system below. The winner will receive three copies of the I Love Me! children’s book, and a pen. Contest is open Worldwide. MANDATORY ENTRY: Visit Nourishing Souls and tell us one thing you have learned about the company! You must enter your name and email address in the Rafflecopter entry system for your entry to count, after leaving a comment on this blog post. Contest closes February 2, 2013, at 11:59 p.m. Eastern Time. Nourishing souls is run by Summer, a mother of twins who began her journey through searching for help for one of her sons. Summer learned about a powerful “cure” for working with her children’s severe reflux and digestive issues… believing in her own intuition as a mother. They have coaching for health and for parenting. Summer has lived and experienced food as medicine. She uses her experience and instincts in her coaching. The author is a holistic health coach. I have learnt that Nourishing souls is run by Summer, a mother of twins who began her journey through searching for help for one of her sons. Summer is a holistic health coach. she has recipes on her site as well! I found another incredible health resource. I would really love to win a copy of this book. My son is loving books with a lot of white space while he’s learning to read, and I love the concept of this book. 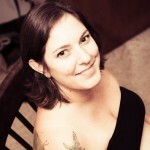 Summer is a sociologist and mother of twins! I learned that one of her twins has (HAD) digestive issues and she managed to cure him in 24 hours once she switched from a medical approach to a healthy approach. Also that she and her husband are both entrepreneurs. I learned that each Health Coaching Program is tailored to your unique, individual needs.